Congratulations to Manor Middle School principal Dr. Dana James Edwards, who has been named a Research Fellow by the Pennsylvania Association of School Administrators. Edwards, who has been a principal at Manor for 13 years, recently received a doctoral degree in educational administration from Immaculata College. 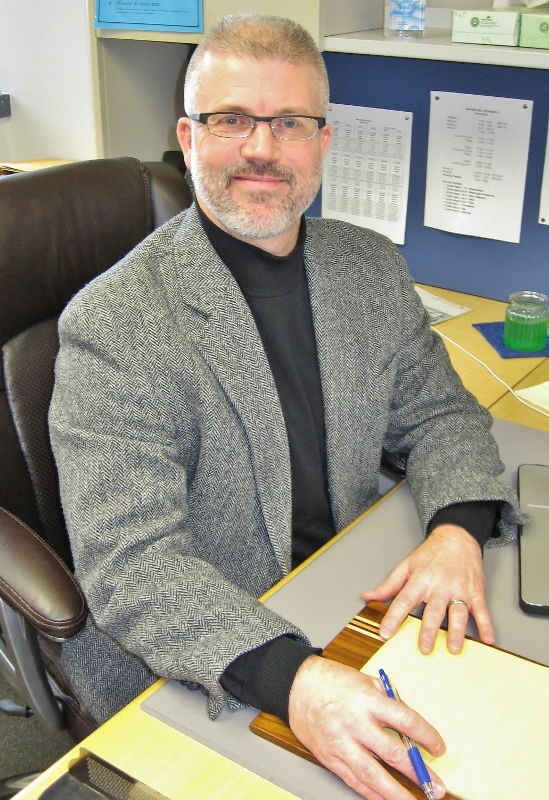 His dissertation topic was “Teacher and Administrator Perceptions of Danielson’s Framework for Teaching Supervisory Process.” It was a qualitative study focused on three school districts in southeastern Pennsylvania. Edwards said he chose his topic because the Framework for Teaching Supervisory Process accounts for 50 percent of Pennsylvania’s new educator effectiveness evaluation tool, and it is a significant change for most school districts. Created by educator Charlotte Danielson, Framework for Teaching identifies the aspects of a teacher’s responsibilities that have been documented as promoting student achievement and professional growth. Edwards plans to attend the Education Congress, held in Harrisburg in March, to present his research.